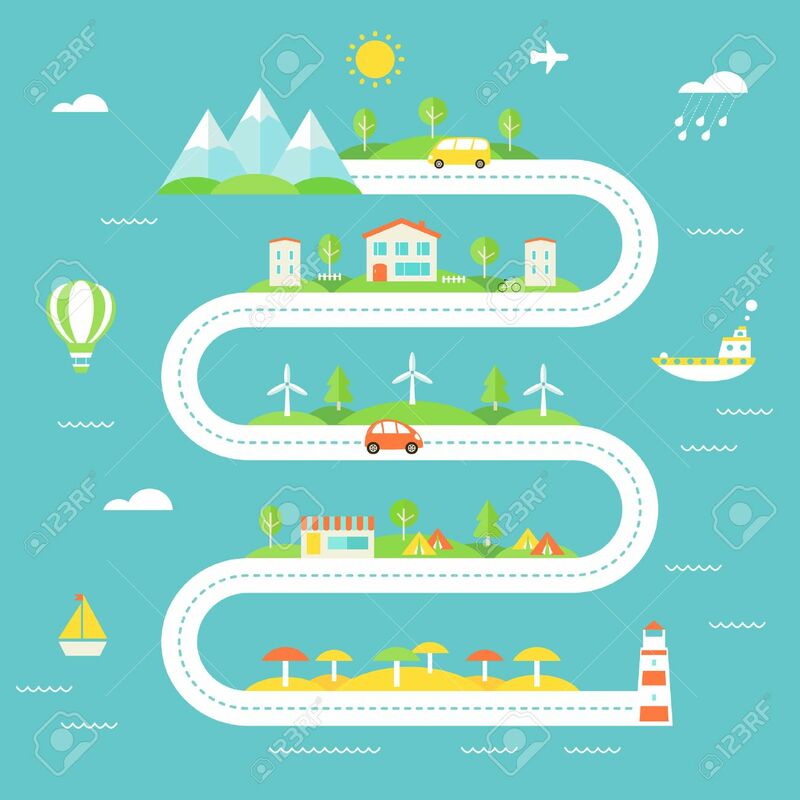 Road Illustration With Mountains, Fields, Town, Wind Electric Stations, Camp And Beach Areas. Travel, Tourism, Sustainable Lifestyle Concept Клипарты, векторы, и Набор Иллюстраций Без Оплаты Отчислений. Image 42069046.